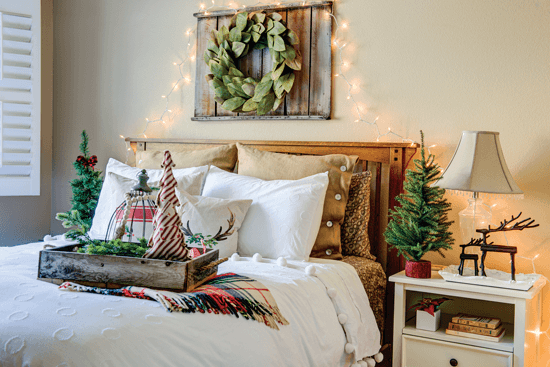 An Instagram entrepreneur makes Christmas magic in her California home with farm charm and creative DIYs. TEXT MESSAGES. 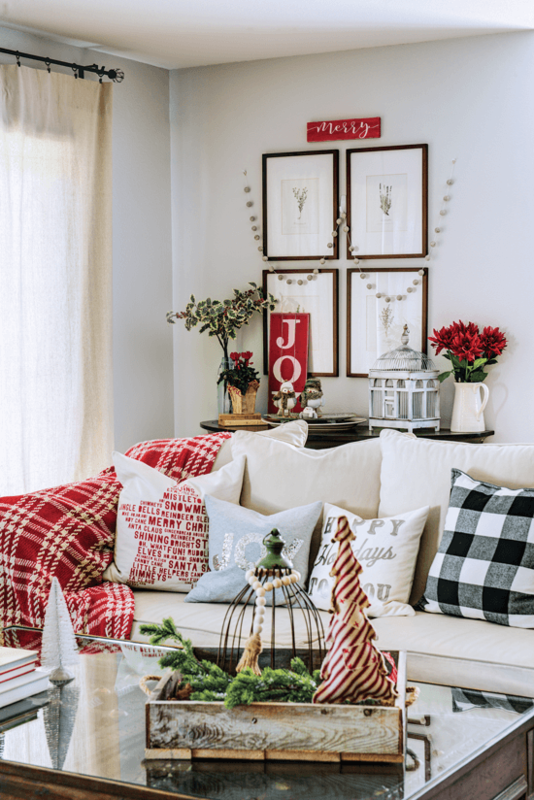 A mix of classic country patterns and modern typography designs give Jodie’s living room accents a fun vibe. After discovering farmhouse chic, Jodie let a little chippiness into her heart and explored flea markets for inspiration. With each addition to her home, from chalk paint to vintage linens, her Contra Costa Country, California, home grew cozier. It also became uniquely The Design Twins, the design and décor business she runs with her sister. “Even though Julie is in Seattle, we talk by phone many times each day and send photos back and forth for design advice all the time! Her home and my home are both the result of our joint efforts. We each have strengths and weaknesses, and we help each other when we can’t come up with a solution. Just like anything, a second opinion always helps,” says Jodie. The dining room wall is the most flexible design space Jodie could wish for, wide open for interpretation. She collected window frames, silver platters and tobacco baskets, which give her a chance to play with the composition. “That dining room wall must have changed a half-dozen times,” Jodie says. ENTERTAINING MOTIFS. Jodie’s placemats and dishes could be used any time of the year, but the right pairing helps them shine. 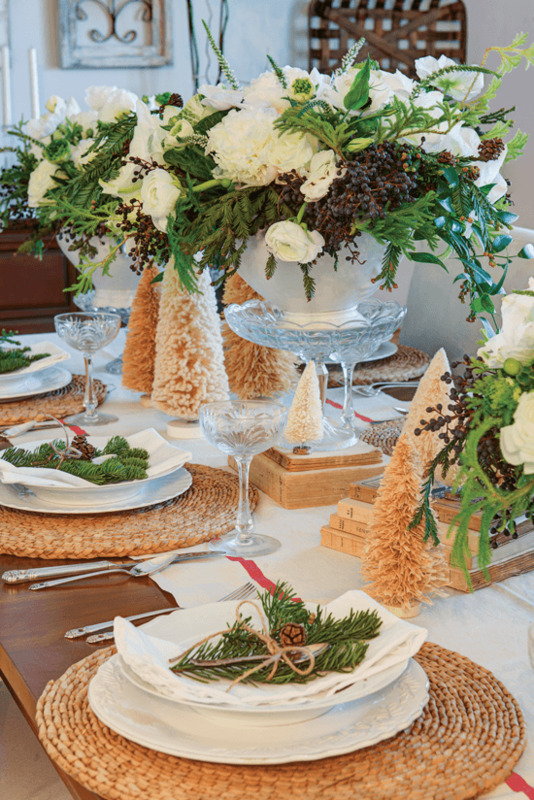 With the red runner and bottlebrush trees, the place settings take on that special holiday magic. The blessing of the farmhouse style is that in-progress designs can still look amazing, even as you finesse compositions and palettes. 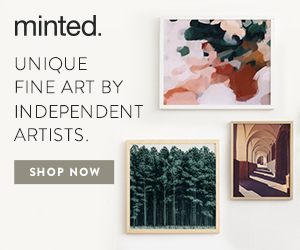 Wear from daily life is natural to the rustic aesthetic. SIMPLE AND TASTY. Hang wreaths and ornaments from your cupboard doors, adjusting ribbon length so they don’t swing too far when you’re looking for the cinnamon. No counter space is stolen away from trays of sugar cookies or custard tarts with this cheerful makeover. It’s part of my Gemini nature to love many styles all at once, so I am never fully committed to a specific style,” she shares. “Rather, I like to pick and choose elements of different styles to create my own interpretation. Jodie discovered the difference between simplicity and subtlety. She keeps most of the palette light with cream curtains, white walls and chippy wall hangings, but some of her furniture is dark enough to create a dynamic contrast without disrupting the palette. The natural, earthy tones are given further complexity through textiles and textures. Some of Jodie’s Christmas decorations are demure. 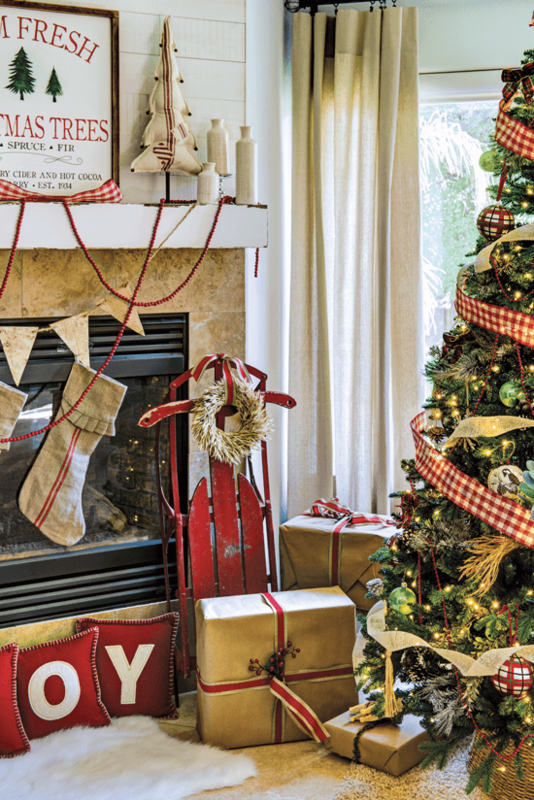 Her fireplace is covered with holiday themes but the stockings, bunting, and mini trees keep it gentle. 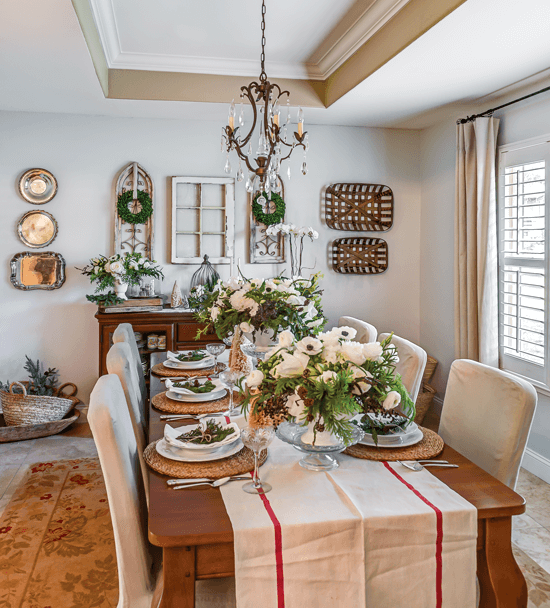 The dining room table bursts with cheer, but the only colors are a touch of red on the runner and the natural greenery on the plates and the centerpieces. FRONT AND CENTER. 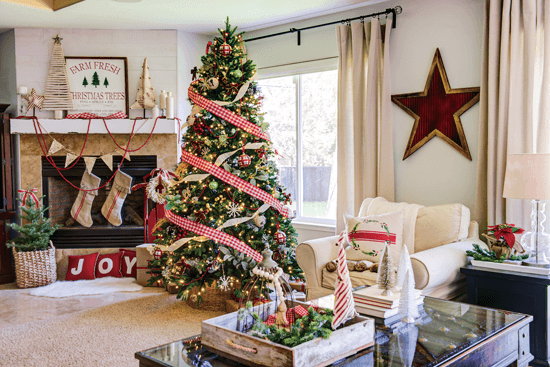 A surefire way to holiday-up your home is to adorn a focal point. 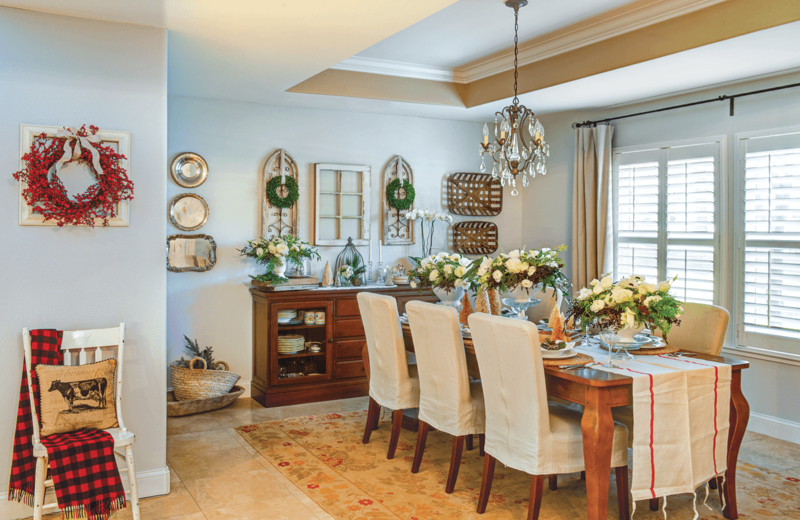 Statement chandeliers and pendants only need a little bit of greenery or ribbon to completely change their look. FRAMING THE SEASON. 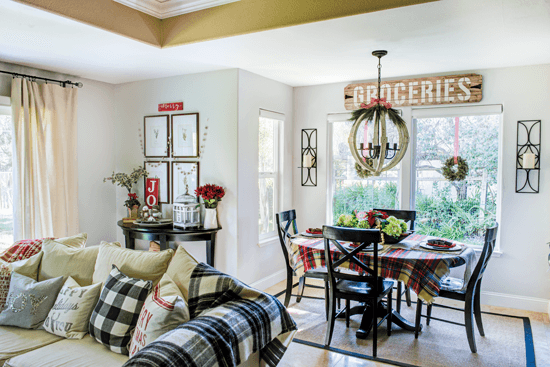 The dining room wall is the perfect design for Christmas cheer. 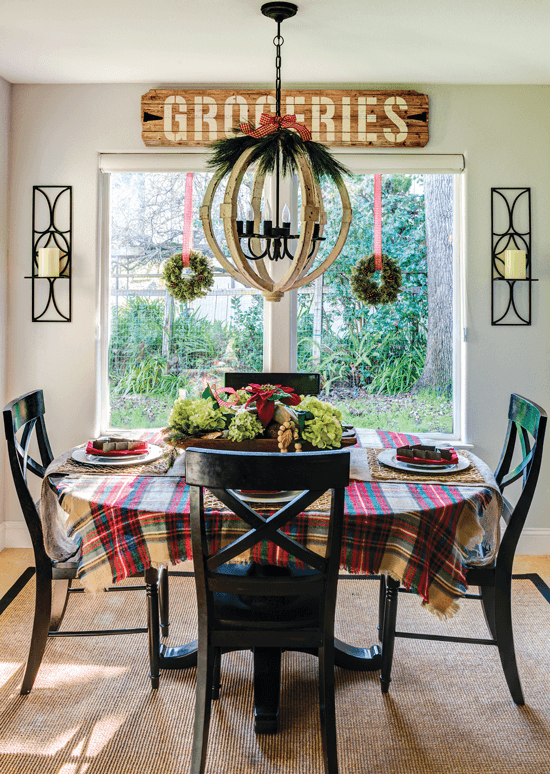 The frames naturally invite seasonal additions like boxwood wreaths and cream ribbon. The dining room table bursts with cheer, but the only colors are a touch of red on the runner and the natural greenery on the plates and the centerpieces. 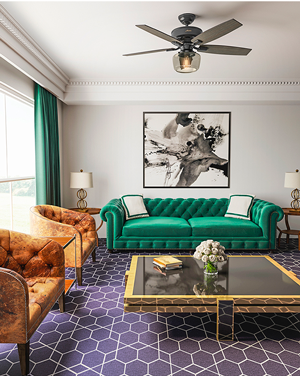 Jodie has fostered a less-is-more aesthetic, which gives her the flexibility to be as subtle and sweet or as loud and brassy as she pleases. Each year is a new opportunity to play with her look. “It’s only for a month, which appeals to my love for change,” Jodie says. CHRISTMAS STARS. Changing up lighting is a way to create a fresh, wintery atmosphere. Drape white twinkle lights around your home and don’t forget to turn them on in the evenings. Want more holiday decor inspiration? 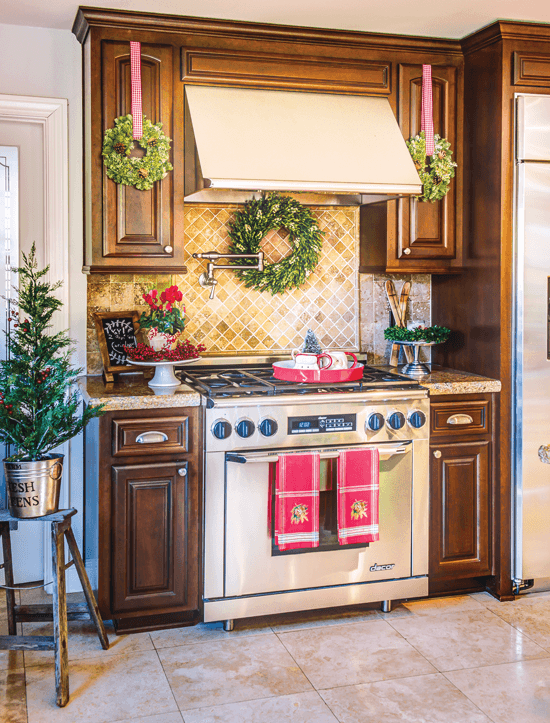 Check out this Christmas kitchen tour and this colorful holiday home filled with flea-market style. 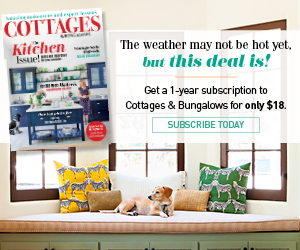 And don’t forget to follow us in Instagram for a daily dose of cottage inspiration!